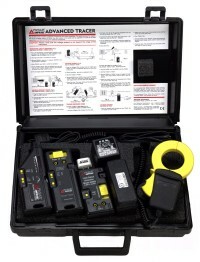 Trace live wires buried or hidden behind walls up to 13 feet deep! Model AT-2005-A electrical wire tracer also includes a battery booster that strengthens the signal for more accurately tracing opens and finding wires in walls. Traces energized wires without power interruption. Locates breakers without power interruption. Traces unenergized wires (wire continuity and wire grounded at the end). Pinpoints shorts & ground faults. Traces unenergized open wires (broken or disconnected wire). Pinpoints place where wire is broken . Supplied with Battery. Booster to strengthen signal for open tracing. 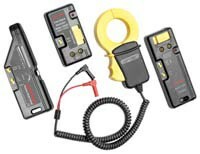 Supplied with clamp-on attachment to inject signal without making a contact with bare wire.